The Premier Boxing Champions series has steadily increased in popularity among both Boxing fans and experts alike since its debut in January of last year. Beyond the much-needed exposure that the series has brought the sport, one of the primary reasons for the series popularity is it has put on several competitive fights and entertaining cards since its inception. 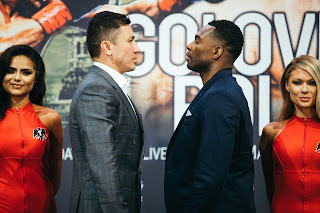 The latest Premier Boxing Champions card, which took place at the Honda Center in Anaheim, CA on August 27th, certainly fit the description of competitive and entertaining. In the main event of this card former two-division world champion Robert Guerrero returned to the ring for the first time since dropping a hard fought twelve round unanimous decision to two-division world champion Danny Garcia in January of this year in a bout for the vacated World Boxing Council (WBC) Welterweight world championship. Guerrero’s opponent for the would be “Comeback” fight was David Peralta. Peralta, a veteran of twenty-eight professional bouts prior to this encounter against Guerrero was a relative unknown outside of his native Cordoba, Argentina and was taking a significant step up in the class of his opposition against the former world champion. It is difficult sometimes to form an opinion on what one could expect to take place in a fight where one fighter is a relative unknown. Based on Peralta’s record however, a respectable 25-2-1, with 14 Knockouts, but a record compiled against opposition that was also largely unknown to most Boxing fans and experts, it was understandable why most considered Peralta to be a significant underdog against Guerrero. The one thing that stood out early on in this fight in this observer’s eyes was Peralta’s style in that it was an awkward style in terms of his movement and it seemed that Guerrero could have some trouble landing punches consistently. This did not however, have much impact on Guerrero in the early rounds as he was able to land the cleaner punches of the two. Peralta did show that he had come to fight and it was competitive from start to finish as the two fighters engaged in a tactical battle. Although Peralta was able to have periods of effectiveness in the early rounds, the primary difference was Guerrero’s ability to not only land the cleaner punches, but land the harder attention grabbing blows. This would change as the fight progressed. As the fight entered the middle rounds, Peralta began having more success as he was able to gradually take control of the tempo of the combat in using his jab to control distance as well as being effective in landing his right hand as well as combinations. What was impressive about Peralta’s performance as the fight went on beyond it being an impressive one in terms of how he was able to out box Guerrero as the bout progressed was how he did not get discouraged particularly during times when he would get caught with solid power punches from Guerrero in the middle of some heated exchanges. Peralta’s ability to use movement, land punches both from distance as well as when Guerrero pressed forward, and ability to make Guerrero miss became the story the fight. There was however, a confusing moment in the ninth round of this fight where Peralta struck Guerrero with two right hands that sent him staggering into a neutral corner where it appeared that the ropes prevented Guerrero from fully going down to the canvas. Under most circumstances when something like this occurs in a fight, it is normally ruled a knockdown on the basis of the ropes preventing a fighter from going down the canvas. In this instance, there was no such ruling from Referee Ray Corona. Video replays however, appeared to indicate that the fighters legs may have gotten tangled as Guerrero was struck with the punches from Peralta and thus if there were a ruling of no knockdown, it would have been the correct call. It was nevertheless confusing as Corona did not indicate that Guerrero stumbling into the corner was a result of a slip. The confusion notwithstanding, it did nothing to diminish Peralta’s performance as he would go on to win a twelve round split decision over Guerrero in a fight that I unofficially scored seven rounds to five in his favor or 115-113 in points. Also on this card, undefeated rising Jr. Middleweight prospect Terrell Gausha scored a ten round majority decision over a very “Game” Steven Martinez. Martinez was very effective in the first half of this fight particularly due to his attack of Gausha’s body, but as the fight went on it was Gausha’s ability to land the cleaner punches as well as his effective counter punching that earned him the decision as I scored the fight unofficially in his favor six rounds to four or 95-93 in points. In a battle between two grizzled veterans that was contested in the Super-Middleweight division Freddy Hernandez overcame a cut over his left eye in the fifth round to score a ten round unanimous decision over Alfredo Angulo. This fight saw plenty of back and forth action between two fighters who were more than willing to engage. Despite suffering the cut, Hernandez executed a good fight plan using movement to offset Angulo’s pressure and outworked him throughout the fight. Although Angulo had his moments periodically over the course of this fight, he simply was not able to land consistently with his offense and that was the overall difference in the bout. Unofficially, I scored this fight eight rounds to two in Hernandez’ favor or 98-92 in points. Overall this card produced three competitive bouts where one could make an argument that the Gausha-Martinez as well as Guerrero-Peralta bouts could see a rematch at some point. Although some may feel that a rematch between Guerrero and Peralta may appear to be more likely given that Peralta was an unknown who was given little or no chance to defeat Guerrero and was able to pull off the upset, I feel that Steven Martinez gave Terrell Gausha all he could handle and I believe based on his performance in providing Gausha with a stern test is deserving of a rematch should the opportunity come along. As for Freddy Hernandez and Alfredo Angulo, their battle was an entertaining one and both could end up in the ring against each other again at some point in the future. This observer believes it will be more likely that both could face other opposition before a potential rematch could take place. All three fights produced interesting storylines coming out of this card as the relative unknown David Peralta is now a fighter who should be in the mix. Terrell Gausha was able to remain unbeaten against a determined opponent who one might argue will benefit more from the loss as it will likely open up more opportunities for potential fights against other rising prospects and maybe even a rematch with Gausha. While Freddy Hernandez, a veteran of forty-two professional fights, who had gone winless in six straight bouts between 2012-2014 has now reemerged having won four straight bouts and should have some momentum going forward after his victory over Alfredo Angulo. For former world champion Robert Guerrero and the always “Game” Alfredo Angulo however, some may wonder where either fighter will go from here. Although this observer believes a potential rematch between Guerrero and Peralta is a possibility, both Guerrero and Angulo are fighters who have always given it everything they have each time they step in the ring and had both been in their share of wars throughout their respective careers. Some may indeed wonder if the accumulation of battles have taken something out of both men. Regardless of each fighter suffering losses on this card, it will probably not damage either in terms of their ability to secure a lucrative fight down the line. After all, both fighters have endeared themselves to Boxing fans over the years for their willingness to take on all comers as well as having crowd pleasing styles. Despite Guerrero and Angulo each suffering a setback, this observer does not believe either fighter will call it a career and it will be interesting to see if both men can rebound. The 2016 Summer Olympics in Rio de Janeiro, Brazil saw what should be considered an overall improvement for Olympic Boxing. A return to basics in regard to not only the scoring format in returning to the traditional 10-point must system where a winner of a round earns 10 points while the loser of a round earns 9 or less, as well as a return of no headgear for men competing in the Boxing tournament seemed to have a positive impact on the 2016 Olympics. Bouts in the tournament were generally quick paced and did have more entertainment value than had been the case in previous Olympic tournaments that were fought under the previous computerized scoring format that was in place from 1992-2012. The 2016 tournament also saw the inclusion of three professional fighters who competed against amateurs in the tournament. As controversial as the decision to allow professional fighters to compete against amateurs seemed however, it did not have as much an impact as some thought it would as all three fighters Amnat Ruenroeng, Hasan N’Dam, and Carmine Tommasone were all eliminated in the early stages of the competition. In the first piece discussing the 2016 Olympic Boxing tournament last week, this observer stated that I was on record in saying that I was taking a “Wait And See” approach regarding the changes to the format of Olympic Boxing before forming an opinion one way or another. 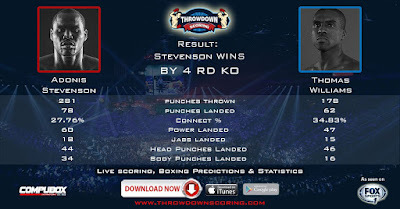 I also stated that despite the changes in the format, elements of controversy remained with regard to the scoring in that several fights ended in a split decisions and had differences of opinion as to who won those bouts, a scenario that is not all that uncommon from what happens on a regular basis in Professional Boxing in regard to close fights or bouts where the official outcome differs significantly from the opinion of spectators who watch a fight. Although the original intent of this column was going to be centered on what may be in store for the various medalist coming out of this tournament, it cannot be overlooked that there was action taken in light of some of these controversial decisions that took place in Rio. The International Boxing Association (AIBA), the organization that oversees Amateur and Olympic Boxing announced during the second week of the competition that unnamed referees and judges who had not performed up to expectations were removed from officiating from the remainder of the tournament citing that less than a handful of decisions of over two hundred thirty plus bouts at that point were not at the level expected and after evaluation decided to remove those officials from officiating the remainder of the 2016 Olympic Boxing tournament. The AIBA also stated that the results of all the bouts would stand, but also expressed its commitment to ensuring a level playing field and its commitment to a zero-tolerance of foul play policy in regard to Boxing. Even though the officials and particular bouts that led to the AIBA’s intervention during this tournament were not named, it is something that should be applauded by all Boxing fans and experts alike that the organization, which oversees Amateur/Olympic Boxing, is taking a proactive approach toward ensuring that all fighters who compete get a fair shake. After so many years of questions of corruption and questionable decisions in Olympic Boxing, it is refreshing to see that steps are being taken to improve the sport on the Olympic level. It goes without saying however, that no sport Amateur or Professional is perfect and after many years of dealing with issues regarding questions of corruption and controversial decisions, it is not something that can be improved overnight. It takes time and it was simply unrealistic for anyone to expect that there would not be any questions of the scoring of fights or questionable outcomes in this tournament. The proactive approach that the AIBA has taken is nevertheless encouraging as it relates to future Olympic tournaments. As for some of the boxers who stood out in this tournament, some fighters did show promise in my eyes as potential fighters, who could go on to have successful professional careers. Fighters such as Light Flyweight Bronze Medalist Nico Hernandez, Bantamweight Silver Medalist Shakur Stevenson, both of the United States as well as Flyweight Gold Medalist Shakhobidin Zoirov of Uzbekistan and Middleweight Gold Medalist Arlen Lopez of Cuba were just a few of the fighters that stood out as those who could have promising professional careers. In all truth and honesty, it is hard to judge who might go on to have a promising pro career based on what happens in Olympic tournaments and it would not surprise me to see fighters who may not have advanced far in this tournament go on to do more in the professional ranks. The 2016 Olympic Boxing tournament also saw history made as Women’s Middleweight Gold Medalist Claressa Shields of United States became the first American boxer male or female to win consecutive Olympic Gold medals after previously winning gold in the 2012 Olympics in London, England. Although Women’s Professional Boxing has not received the kind of exposure in the United States as it has in other countries, I believe that if Shields were to pursue a professional career that it would give the sport much-needed exposure that is frankly long overdue. Shields has demonstrated in two Olympic tournaments that she has the skills that could make her a force to be reckoned with in the professional ranks and it will be interesting to see if she decides to pursue a career as a professional fighter. Overall, I feel that the 2016 Olympic Boxing tournament should be viewed as a success, but also a work in progress. This tournament took some important steps towards improvement in regard to its format as well as improving the perception of the competition. As far as some things that I would like to see improved upon perhaps as early as the 2020 Olympics in Tokyo, Japan, I believe that increasing the distance in rounds for Olympic fights from three to four rounds may decrease the potential for controversy with maybe a fifth round being used in the event of a draw as a tiebreaker round as a way that would hopefully resolve close decisions. In the 2016 Olympic Boxing tournament there were several fights where either one fighter was able to get the upper hand by a slight margin over his/her opponent in the first two rounds of the fight, while the opponent was able to be clearly more effective in the third and deciding round, resulting in many fights being scored by a margin of 2 to 1 on the scorecards. As the 2016 Olympic tournament seemed to take a step of moving Olympic Boxing to a format closer to its professional counterpart, I believe increasing the distance of bouts by a slight margin may help improve future tournaments as well as decrease potential controversy. The 2016 tournament was nevertheless successful and if progress can continue to be made by the AIBA toward ensuring a level playing field for all fighters who compete in the sport in the future it will only benefit Olympic Boxing overall. In the sport of Boxing, a common topic that you will hear discussed and asked among Boxing fans of any description as well as experts will be in regard to who is the next “Great” and/or rising Heavyweight? Obviously, such a topic will invoke varying opinions as well as stir more than a few debates. The recent history of the division has seen a bit of an upward trend of such discussion due in large part to the rise of undefeated WBC Heavyweight world champion Deontay Wilder as well as the emergence of undefeated unified WBA/WBO/IBO world champion Tyson Fury, who ended longtime champion Wladimir Klitschko’s over decade-long reign over the division last November. Although much of the focus of the division has naturally centered on both Wilder and Fury as two of the division’s central figures, undefeated knockout artist Anthony Joshua, who won the IBF Heavyweight world championship earlier this year has also established himself as a player. As Wilder, Fury, and Joshua sit atop a division that has appeared in recent times to be heading toward a period of transition, a question that some might ask could be if there is a prospect on the rise who could also enter into the discussion as a player in the division. One such prospect could be undefeated rising Heavyweight contender Jarrell Miller. Much like Deontay Wilder and Anthony Joshua, Miller is a fighter who has been developing a reputation as a “Knockout Artist.” In eighteen fights as a professional Miller has compiled seventeen victories and has scored fifteen knockouts in those seventeen wins while earning a draw in his fifth pro fight against veteran Joey Dawejko in January 2013. Miller seems to have the ingredients that turn the heads of Boxing fans. An aggressive pressure attacker, with power in both hands as well as the ability to throw punches in combination. What has stood out to me about Miller thus far in his career is not only his ability to get an opponent out of there should the opportunity arise, but also how he uses body punching as a component of his offense that is in some ways similar to how Mike Tyson used to attack opponents to the body. In his last fight in May of this year, Miller stopped Nick Guivas in two rounds to win the vacant North American Boxing Organization (NABO) Heavyweight title and has moved his way into top ten contender status in both the World Boxing Organization (WBO) and the International Boxing Federation (IBF) respective Heavyweight ratings. When a fighter establishes himself as a top ten contender, two questions are normally asked. The first particularly in the case of a fighter who has established himself as a “Knockout Artist” is will he face a significant test as a top contender. The second question that usually follows one of if that fighter will face a significant test is how long could it be before this fighter earns an opportunity at a world championship. There could be potentially an answer to the first question as Miller will defend his NABO championship on Friday night against veteran contender Fred Kassi at Rhinos Stadium in Rochester, NY in a fight scheduled for ten rounds that will headline the latest addition of Showtime Sports’ popular ShoBox: The New Generation series here in the United States. Kassi, who will enter the fight with a record of 18-5-1, with 10 Knockouts is a fighter that has given two recent world title challengers, Chris Arreola and Dominic Breazeale all they could handle in their respective bouts against him. Kassi is an awkward fighter who switches between a conventional and southpaw stance during his fights and has good hand speed and defense. Kassi however, has also been a knockout victim once in his career when he suffered a brutal knockout at the hands of Heavyweight contender Amir Mansour in November 2014. A fight that Kassi was on the verge of scoring an upset of Mansour when a flush right hand from Mansour put an end to the fight and knocked Kassi out cold in the seventh round. Although Kassi is coming off two straight losses, this should not be viewed necessarily as a rising contender being pitted against a fighter who should not be considered dangerous. In thinking of how Kassi might approach this fight, it is logical to assume that he will look to use his awkwardness to nullify some of Miller’s attack and to be more specific his punching power. Jarrell Miller has only been as far as seven rounds once in his career and from a strategic standpoint, Kassi could well look to weather the storm of the power puncher in the early rounds with the intent of extending him further than any other previous opponent while also looking to implement a fight plan to put himself in a position to win the fight. Kassi is also a solid counter puncher and will no doubt be looking to exploit any openings that Miller might leave him. Even though most would probably consider Miller to be the favorite going into this fight, if he is not prepared or cannot adapt as the fight progresses, it could play right into Kassi’s hands as he likely sees this fight as an opportunity to reestablish himself as a contender in the division by scoring a victory over an undefeated rising contender. Whether or not Jarrell Miller will be any closer to a potential opportunity at a world championship assuming he wins this fight is something that will probably be determined based on his performance if he is able to earn his eighteenth career victory. This is nevertheless the biggest potential test of Miller’s career thus far and he is facing the type of opponent that every potential “Great” fighter has to go through at some point in their careers. We will see what happens when Miller and Kassi do battle on Friday night. ShoBox: Miller vs. Kassi takes place on Friday, August 19th at Rhinos Stadium in Rochester, NY. 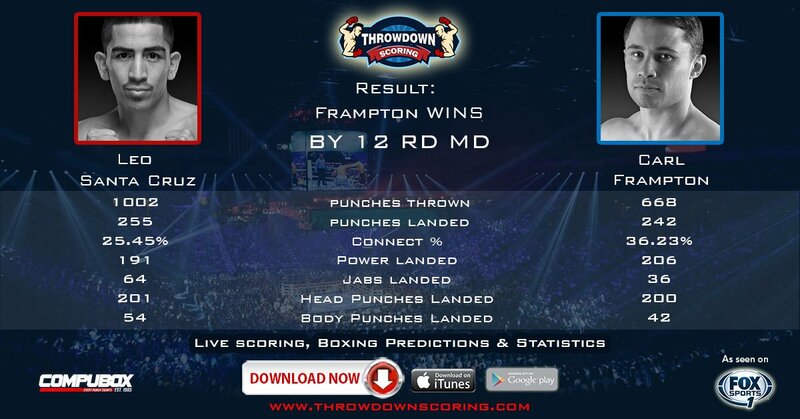 The card will be televised in the United States by Showtime at 10PM ET/PT and will also be available on the Showtime and Showtime Anytime apps. Check your cable/satellite provider for time and channel in your area. For more information on Showtime, the Showtime and Showtime Anywhere apps, and available devices please visit: www.sho.com. Check your listings internationally. For many years, the Summer Olympics has served as a springboard for top amateur boxers to begin their professional careers after competing for Olympic medals in what has been thought of as the pinnacle of Amateur Boxing. Fighters such as Joe Frazier, Muhammad Ali, Sugar Ray Leonard, Michael Spinks, Leon Spinks, Pernell Whitaker, Evander Holyfield, and a host of others all received much-needed exposure by way of their participation in Olympic tournaments. Following that exposure at the end of their amateur careers, many of them were able to quickly establish themselves in the professional ranks due in large part to getting exposure out of the gate as they embarked on professional careers. It goes without saying however, that the exposure and accolades that come with Olympic Boxing has diminished somewhat over the years. Some may remember the well-publicized scandal that emerged in the 1988 Summer Olympics that took place in Seoul, South Korea where Roy Jones, then competing as a Jr. Middleweight was the victim of what most, including this observer feel was a miscarriage of justice in his gold-medal bout against Park Si-Hun of South Korea in a fight that Jones thoroughly dominated, but lost a controversial decision. The injustice that took place in the Jones-Si-Hun bout led to a change in the scoring format for the 1992 Olympic Games in Barcelona, Spain. Instead of the traditional 10-point must system where both Amateur Boxing had been scored as is also the case in Professional Boxing, the 1992 Olympics saw the introduction of computerized scoring for its Olympic Boxing tournament. Although the computerized scoring system, which was based on a fighter’s ability to out land their opponent with judges pressing a button for a fighter one punch landed, and was aimed at putting an end to controversy and corruption, the computerized scoring system in reality created more problems than it ever solved. Although in regard to the United States Boxing team where fighters like Oscar De La Hoya in 1992, David Reid in 1996, and Andre Ward in 2004 were able to win Olympic gold in the respective weight classes, most fights that took place under the computerized scoring system, which this observer has often referred to as the “Nintendo scoring system”, became almost non-competitive to a large extent as fighters were more concerned with trying to land punches that would be clearly visible to judges scoring the fight in the hope of a judge being able to hit a button quickly enough for a punch to count as a point. The scoring format did not seem to take into consideration elements of ring generalship, effective aggression, and defense. Three aspects that are also considered part of scoring criteria in Professional Boxing in addition to effective aggression. This led to fights almost always being determined by simply who was ahead according to the computer rather than necessarily who was the better fighter. After twenty-four years of computerized scoring, the 2016 games saw a return to basics for Olympic Boxing. Not only has the scoring format returned to the traditional 10-point must system, where the winner of a round receives ten points and the loser of a round receives nine points or less, but there have been other significant changes. For the first time since the 1980 Olympic Games held in Moscow, Russia, the 2016 Olympics was the first where the Olympic Boxing tournament would not include mandated headgear for men competing, while women competing are still mandated to wear headgear. Although this could be seen as a dangerous change in the format given the ongoing concern throughout all sports of with regard to the dangers of concussions, this change appears to be an attempt to move Olympic Boxing closer to his professional counterpart. After all, most Olympic boxers, particularly those who are medalist turn professional shortly after competing in the Olympic Games and Professional Boxing does not have mandated headgear. The third significant change for the 2016 Olympic Boxing tournament in Rio de Janeiro, Brazil has been the inclusion of professional boxers competing against amateurs in the tournament. This observer has been on record in saying that I was taking a “Wait And See” approach with regard to these changes to Olympic Boxing before forming an opinion one way or another as to whether or not these changes would be good or bad. In all truth and honesty, I applauded the decision to go back to the traditional 10-point must system of scoring as it would not only be a way through even the field among all the athletes competing in the Olympic Boxing tournament, but also a way to hopefully ensure that fighters would not be given a “Tough Break” simply because of a scoring format that was frankly flawed. The decision to return to no headgear for the men competing in this Olympics for the first time in thirty-six years did have me concerned due in large part to the ongoing research with regard to the effects of concussions throughout all of sports. As this Olympics is now approaching its conclusion, I can say that the decision to forgo the use of headgear has not had the negative impact that I thought it might have prior to the tournament beginning even though there has been an increase in fighters suffering cuts during bouts. The third change however, in allowing professional fighters to take part in this tournament against amateur fighters was a mistake, in my opinion. Despite the opinion of this observer, the decision to allow professional boxers to compete in this Olympics has not had the negative effect that many thought it would in regard to safety as well as other concerns, as all three of the professionals who qualified for this tournament did not make it far. Longtime professional top Middleweight contender Hassan N’Dam of Cameroon, who entered this Olympics competing as a Light-Heavyweight was dominated in his only bout in a tournament by Michel Borges of Brazil on day one of the Olympics, losing a three round unanimous decision. Current European Professional Featherweight champion Carmine Tommasone of Italy, competing in this Olympics as a Lightweight was eliminated in his second preliminary fight in the tournament losing a three round unanimous decision to Lazaro Alvarez of Cuba. The third professional who took part in this Olympics, former IBF World Flyweight champion Amnat Ruenroeng of Thailand, who also competed as a Lightweight, was stopped in three rounds by Sofiane Oumiha of France in his second preliminary bout in the tournament. Whether or not the concept of professionals competing against amateurs in Olympic Boxing is one that will remain after 2016, remains to be seen. It is clear however, in this observer’s eyes that part of the reason the professional fighters who took part in this tournament were not successful was due to the fact that this is an amateur tournament and thus fights are only scheduled for three rounds. A distance that is not common for most top level professional fighters. Even though the inclusion of professional boxers did not ultimately have much effect on this tournament, this observer believes that Olympic Boxing should remain the pinnacle final stage of Amateur Boxing for most top level amateur boxers before embarking on a professional career. One thing that should not the overlooked is a positive that has come with going back to a traditional scoring format is fights in this tournament has been fought at a much quicker pace than has been the case in previous Olympics due to the flawed computerized scoring format. Fights in this tournament have been determined on a basis of which fighter is able to get off first with their offense as well as effective aggression, ring generalship, and defense. 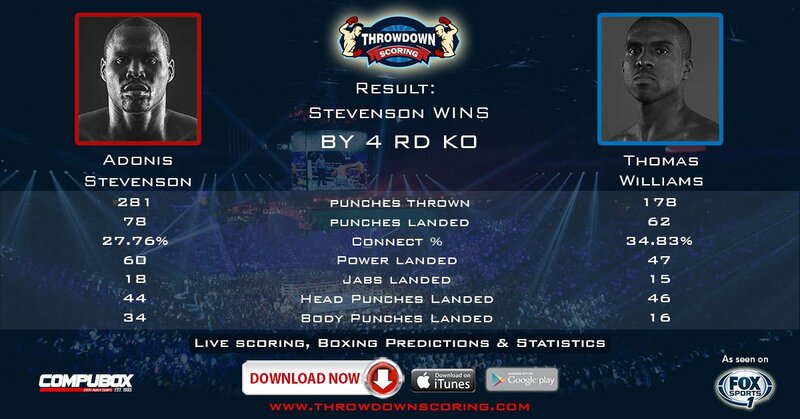 There has not however, been an absence of controversy in the tournament as several fights have gone to the scorecards and have ended up being split decisions. Much as is the case with regard to Professional Boxing, the potential for controversy especially with regard to the scoring of a fight is something that will never be absent from the sport. It is something that simply comes with the territory and at times not everyone will agree on who wins a fight. 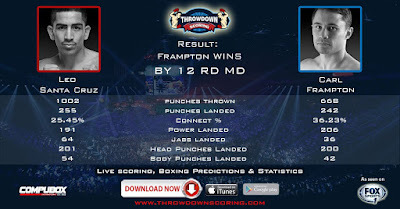 It is clear however, that going back to the traditional scoring format has been an improvement as compared to how fights were determined under computerized scoring. Whether or not 2016 will be viewed as the year of a rebirth of sorts for Olympic Boxing remains to be seen, but as the tournament is ongoing, this observer is encouraged by the direction Olympic Boxing is going and believe that this should be viewed as progress. There is however, more Boxing to take place before the 2016 Olympics concludes. The second piece of Olympic Boxing material for the 2016 Olympics will be released on Wednesday, August 24th. Stay tuned. The official weigh-in for the Light-Heavyweight bout between undefeated former Super-Middleweight world champion Andre Ward and Alexander Brand took place earlier today in Oakland, CA. The weights for the entire card are as follows. Main Event: Light-Heavyweight – 12Rds. Andre Ward 175lbs. vs. Alexander Brand 173 1/2lbs. North-American Boxing Organization (NABO) Jr. Welterweight title – 10Rds. Bilal Mahasin 146lbs. vs. Luis Lugo 146lbs. Darmani Rock 246lbs. vs. Mike Kyle 222lbs. Junior Younan 172 ¾ lbs. vs. Genar Guerrero 171 ¾ lbs. Daniel Franco 126lbs. vs. Marcello Gallardo 126lbs. Gabriel Halloway 160lbs. vs. Raquel Miller 164 ½ lbs. Ward vs. Brand takes place tomorrow night (Saturday, August 6th) at the Oracle Arena in Oakland, CA. In the United States, the fight will be broadcast by HBO Sports at 10:30PM ET/PT. Check your Cable/Satellite provider for time and channel in your area. For more information on HBO Boxing please visit: http://www.hbo.com/boxing. In the United Kingdom and Ireland, the fight can be seen on BoxNation at 2AM (Sunday, August 7th Local UK Time.) For more information on BoxNation please visit: www.boxnation.com.